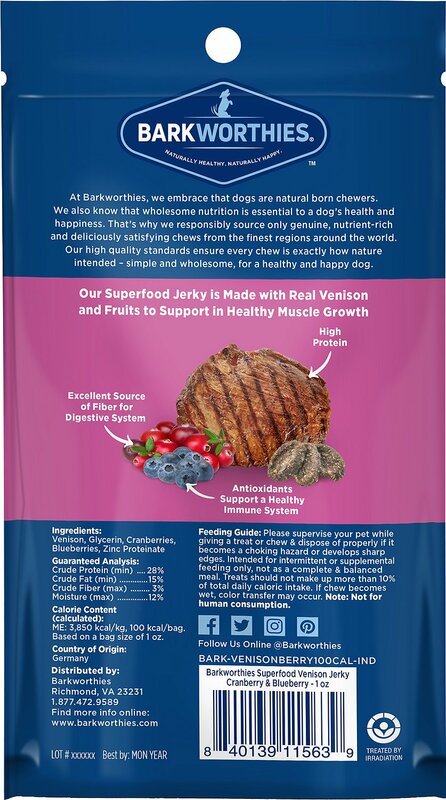 Barkworthies Venison Jerky Recipe with Blueberry & Cranberry Blend Dog Treats are the perfect on-the-go snack for your pal. At just 100 calories per serving, this jerky is made with high-quality protein from real venison and healthy superfoods including blueberries and cranberries. Plus, they can be used as a tasty training treat. 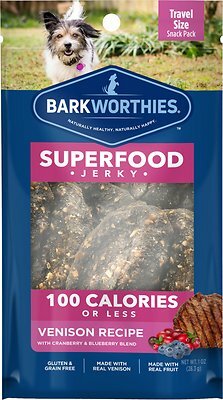 Barkworthies venison jerky combines convenience, mouthwatering flavor and nutrition all in one easy snack your dog will love! 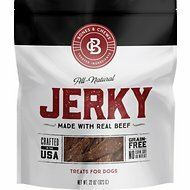 All-natural dog treats are made with real venison, blueberries and cranberries. Venison, Glycerin, Cranberries, Blueberries, Zinc Proteinate. My toy poodle loves these !! They are meaty and yummy, she has told me. Will def purchase again. 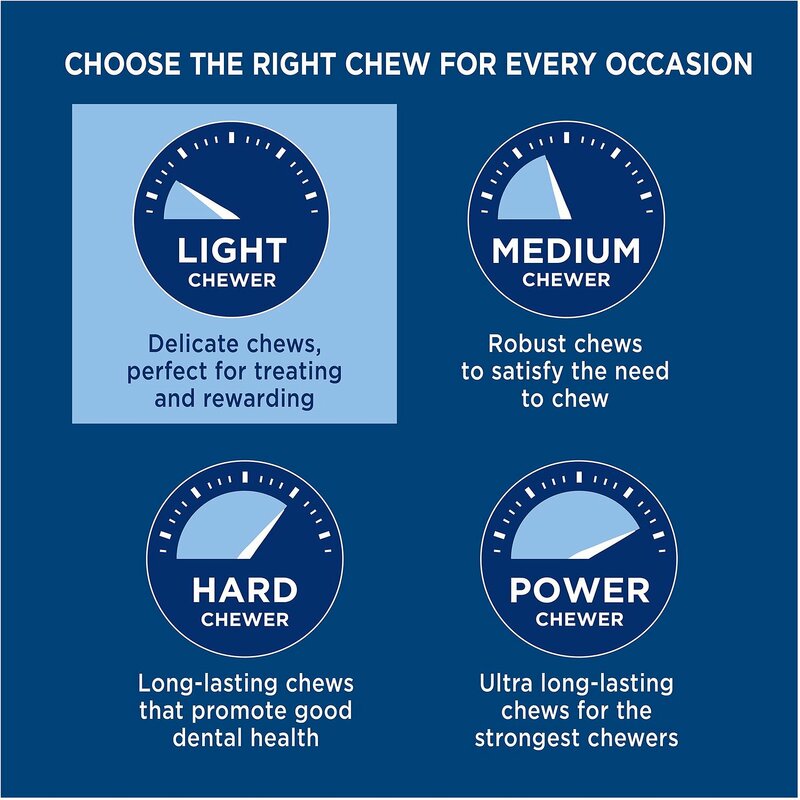 Thank you, Chewy.com for aLL the great service and saving me time and money ! This is another winner for Cocoa the spoiled brat. 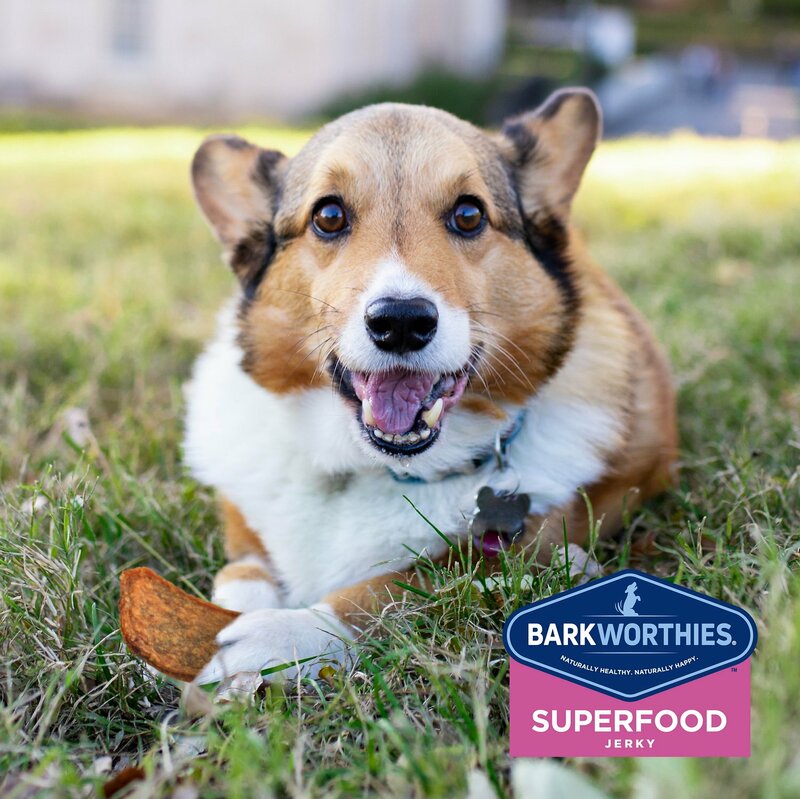 He loves these jerky treats. The great thing is that these are offered in a variety of flavors. I like that they are small, round, disc-shaped treats. When I open the snack drawer he waits patiently for his treat. As Forrest Gump would say. "Life is like a drawer of Jerky (chocolate in Forrest Gump's case), he never knows which jerky he is going to get." Just wish I had purchased these in the bigger size. I will be buying the bigger bags of these on the auto-ship program. My dog loves these. Glad I got them. Definitely buying again. My picky husky seemed to really like these treats, and so did my cat, weirdly enough. I love that I could get a really small pack rather than wasting over 10$ on a big pack on something they might not like! Definitely will try their other flavors! Boy oh boy was this a hit! I bought as an add on to get my order up to free shipping ... well worth it. Both my pitties scoffed these up and did their treat dance and tricked to get more. These were a great treat for my pug! He absolutely loved these! 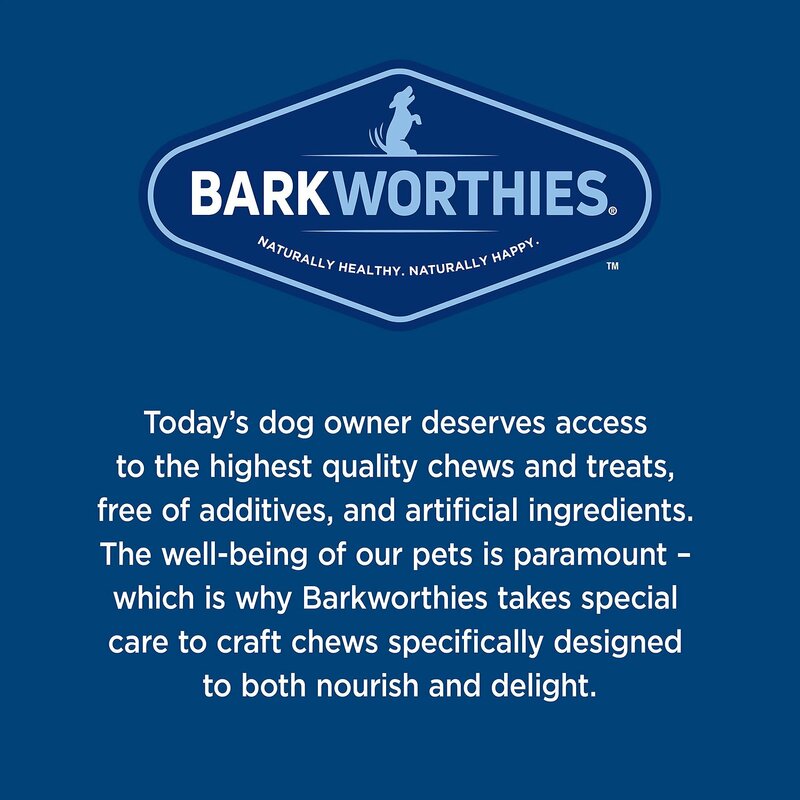 Bentley loves these treats !! I cut these into small pieces for my shih tzu. He gobbles them up and of course begs for more.